Just bought it from someone, interested to get it fixed. he said it just needs to replace battery, I doubt it (after numerous experience with asking the sellers "what is wrong with the bike" and ends up there is always more things are wrong). 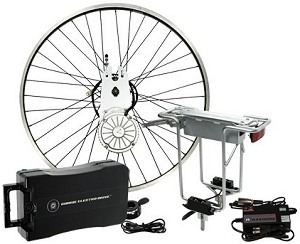 So I wonder, if this is actually a working electric bike at all... and where ahd how exactly I replace its battery? I do not see one lol Did google some video but none like this. It looks to be an older Currie Electro Drive, they were originally made in 1996 i believe. I don't know much to anything else about them though other than that is one and they exist. Here is the companies website which offers support options. I would look for a serieal number and call them with questions about battery replacement. Also, i found this random page that sells parts, you may be able to source a battery and spare parts from them as well. This looks to be quite similar as far as the motor mount and rack go. 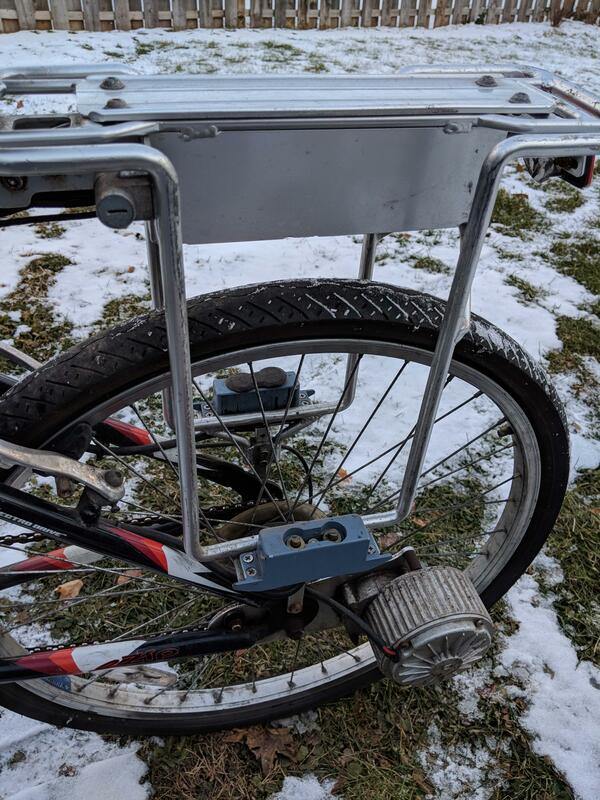 From what i can tell they make a very large battery pack that slides down the side of that rack and connects to those two metal terminals above the bicycles axle (the blue block). You can see them if you follow the second link i listed. Not the answer you're looking for? Browse other questions tagged electric-bike used-bike battery electric-power or ask your own question.